Burke grew up in Clarendon TX and moved as a child to California, attending Belmont High School in Los Angeles CA. He served in the Army Air Corps during WWII. In 1946, he started a construction company with his brother Cleve and the Marzicola Brothers under a new name, Craig Ellwood. It was taken, in part, from the Lords and Elwood liquor store downstairs from the construction company office. Part time, he was head of publicity for the Hollywood Bowl in 1947. He also worked as a model. 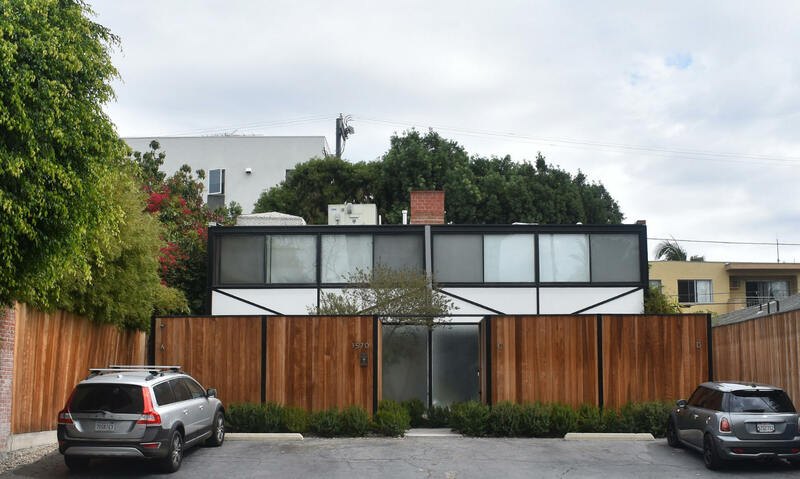 The construction company failed and Ellwood went to work as a cost estimator for Jack Cofer of Lamport Cofer Salzman in Los Angeles. 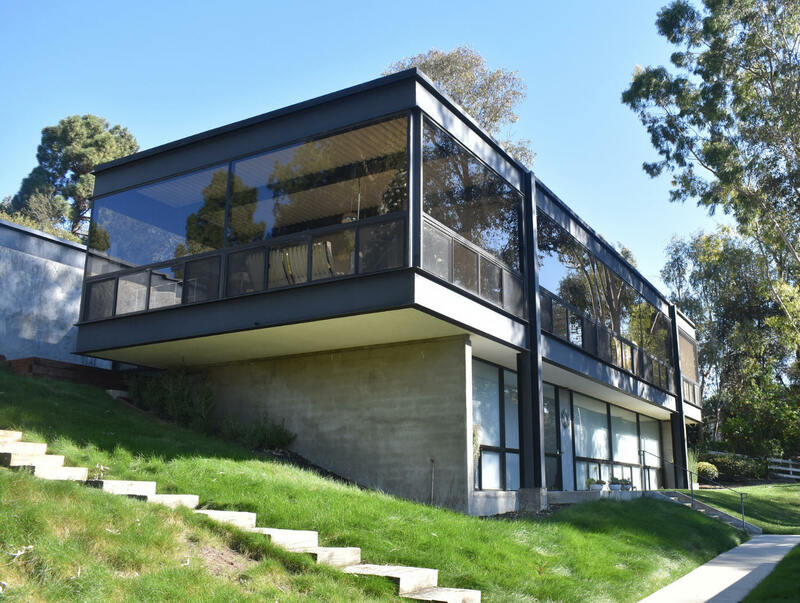 Ellwood did the cost estimating for the Charles and Ray Eames house in Pacific Palisades. 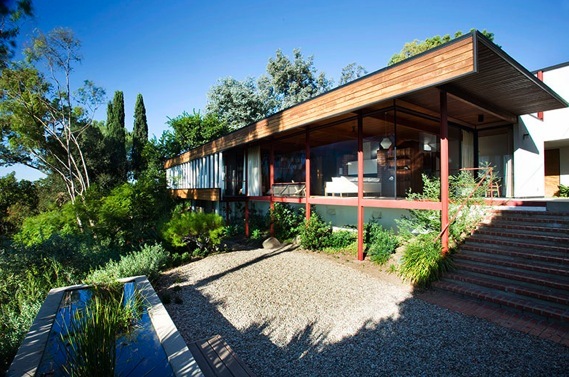 He then designed the Lappin house in 1948. 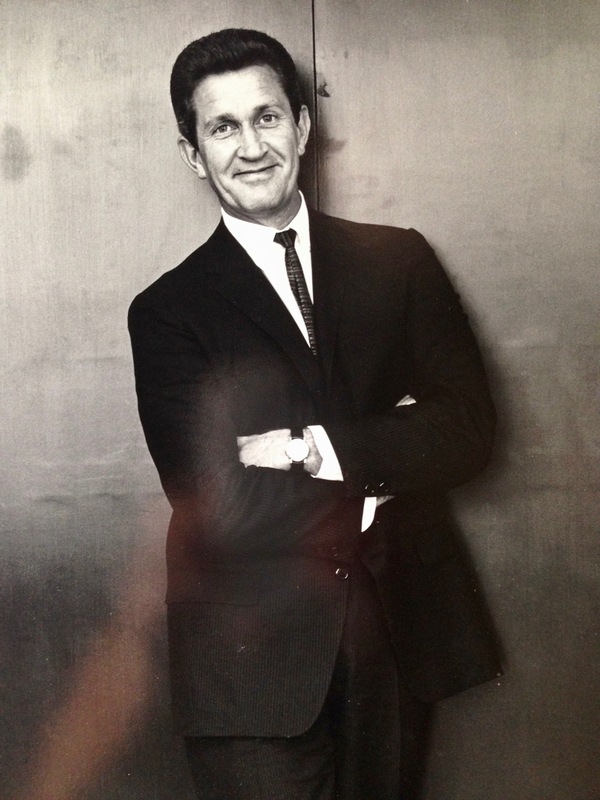 Ellwood left Cofer and started an architectural firm, Craig Ellwood Design, in 1949. 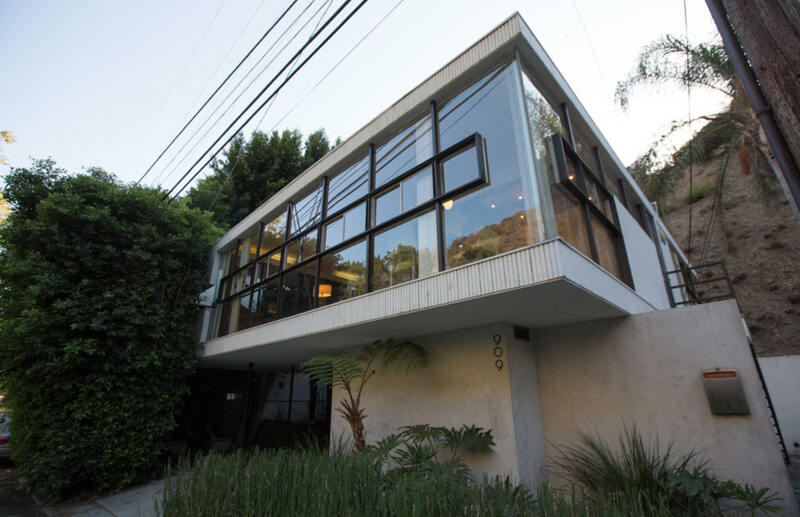 Although he took structural engineering courses at UCLA, Ellwood was not a licensed architect. But that did not matter, to him or to his clients. Ellwood was a true design genius. Ellwood could sell, too. He had a red Ferrari and a perfect fit with the attention-getting lifestyle of Los Angeles. He was a master of promotion. 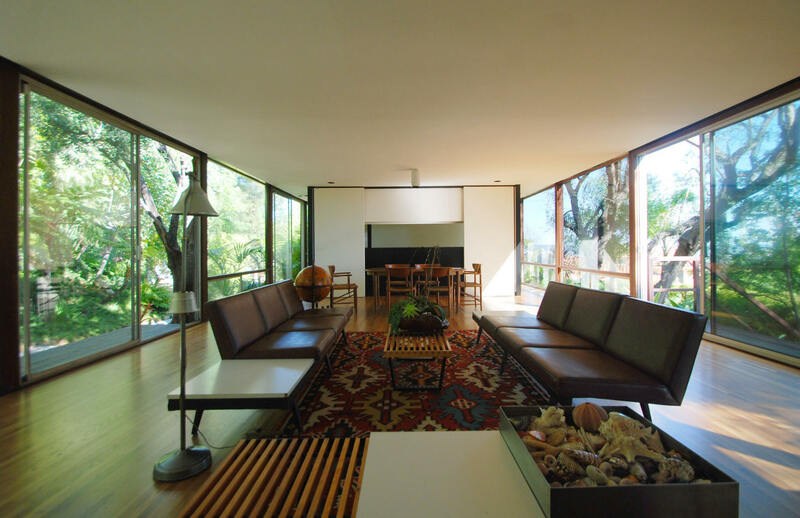 Derided by the architecture profession of which he was formally not a part, he rose to public fame when three of his houses were included in the iconic Case Study House series of Arts and Architecture Magazine. His houses are still incredibly prized today. He was married to Faith Irene (Bobbie) Walker. Then for 28 years he was married to actress Gloria McEniry Henry, who played Mom on the 1950's classic TV show, Dennis the Menace. They had three children, Jeffrey, Erin, and Adam Ellwood. In 1977, he left the US with third wife Anita Eubank to a villa in Pergine Valdarno, Italy. After their divorce, he started dating Leslie Hyland. They married in 1985 and had one daughter, Caitlin Emily. 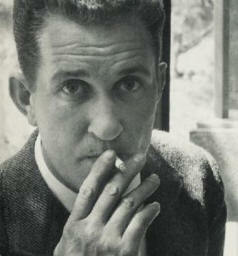 After his death, Leslie Hyland Ellwood moved to South Africa. Thanks to Catherine Westergaard Cramer for her extensive research. The Ellwood archives are at Cal Poly Pomona. 1948 - The Elizabeth Wharton House, Los Angeles CA. Jack Cofer was to be the builder. Unbuilt. 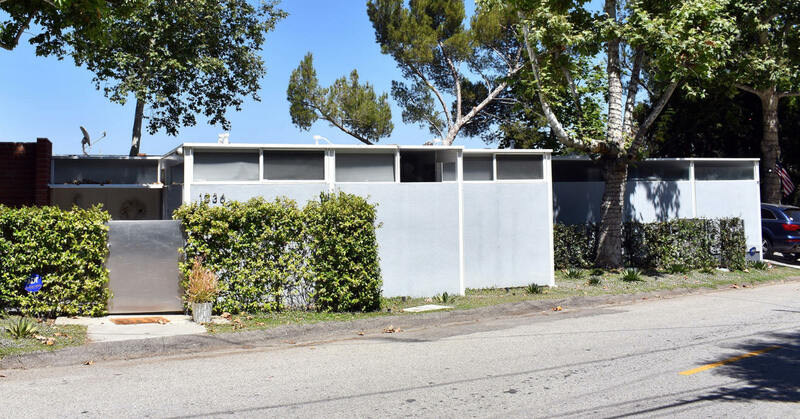 1948 - The Milton L. and Cecile B. Lappin House, 2767 Motor Avenue, Los Angeles CA. Built by Jack Cofer. 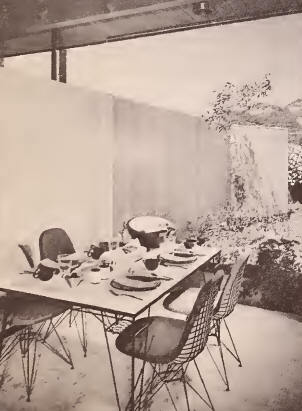 Featured in the Los Angeles Times Home Magazine in 1950. Sold to Sylvia Kirts. 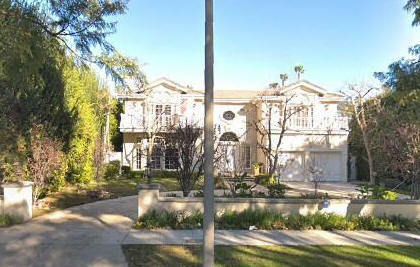 Sold in 2002 to Robert and Cynthia Hart. Sold in 2004 to Andrew and Sarah Jacobson. Bottom photo by Michael Locke. 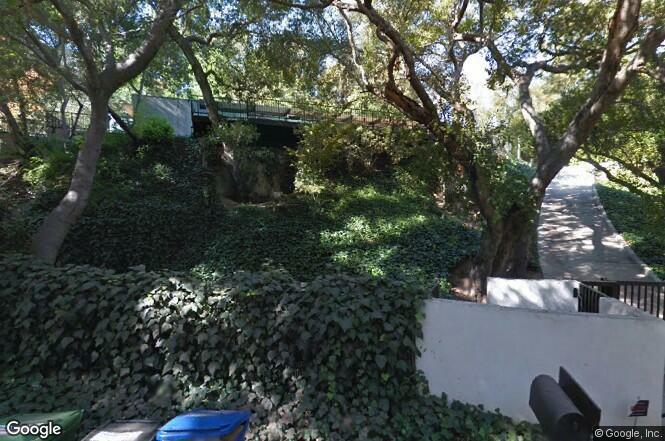 1949 - The Epstein House, 401 North Cliffwood Avenue, Los Angeles CA. 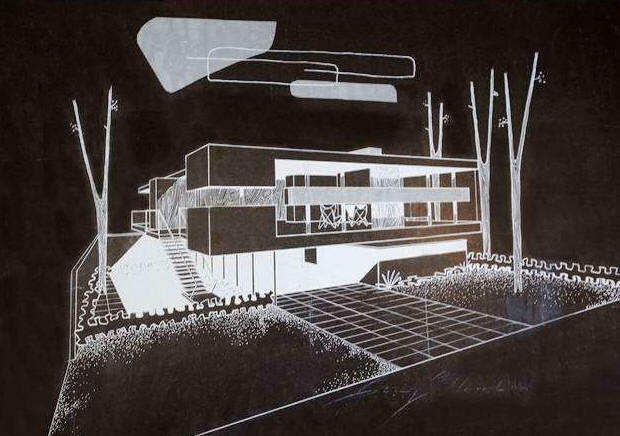 Published in Progressive Architecture, May 1951. Sold in 2010 to Marvin and Judith Zeidler. 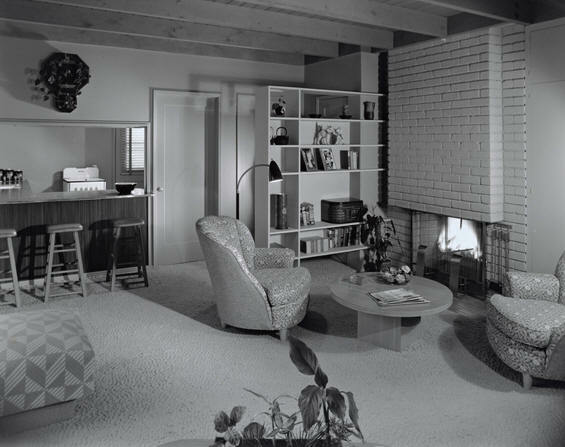 1949 - The Irwin Duplex, address unknown, Los Angeles CA. Built by Jack Cofer. Has been destroyed. 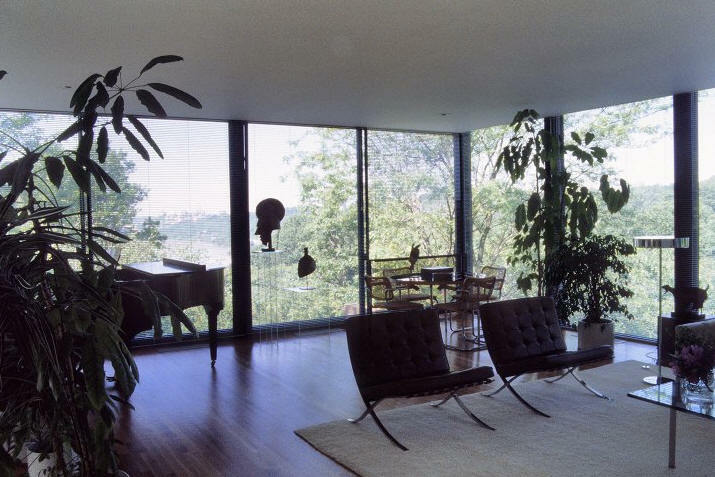 Photos by Julius Shulman. 1949 - The Harry W. (aka Harry D.) Gerstad House, Wilbur Avenue, Tarzana CA. Built by Jack Cofer. Featured in the Los Angeles Times June 10, 1951. Interiors by Carroll Sagar. Photos by Donald Higgins. Destroyed. 1949 - The ??? 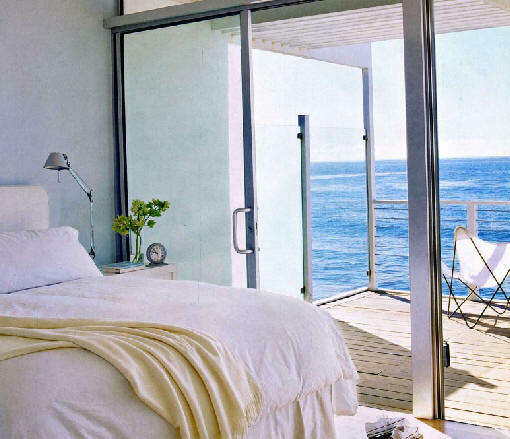 Beach House, Malibu CA. Built by Jack Cofer. 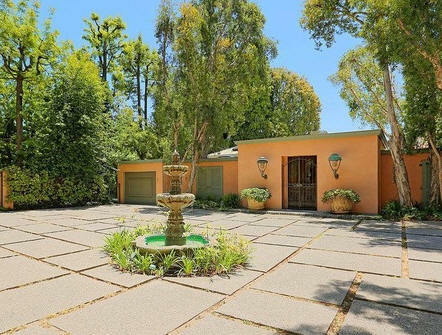 1949 - The Bryant McIntyre Hale House, 9618 Yoakum Drive, Beverly Hills CA. Commissioned 1948. 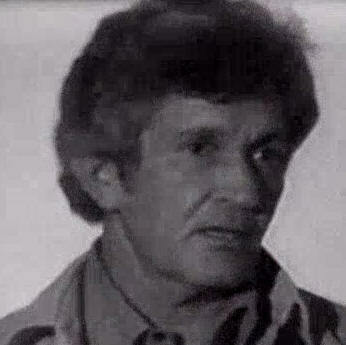 Hale was a teacher at Beverly Hills High School. Has been owned since around 2000 by David W. and Pamela Packard. No one has lived there for years. 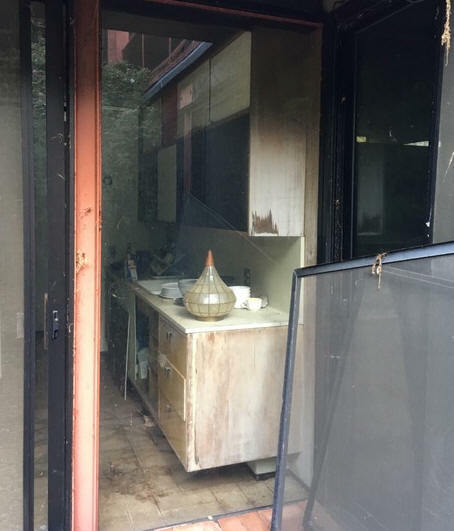 Still vacant and deteriorating as of 2018. Bottom photo by Michael Locke. 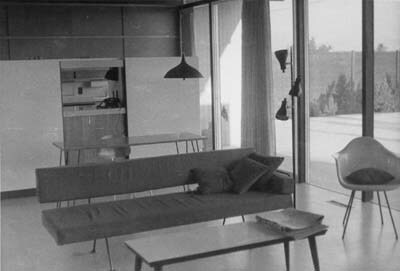 1950 - The Meyer House, Los Angeles CA. Status unknown. 1950 - The Broughton House, 909 North Beverly Glen Boulevard, Los Angeles CA. Commissioned 1949. Published in Arts and Architecture Magazine in 1949. Sold to the Leslie Appel Trust. Sold in 2002 to Tina Hagen. Sold in 2004 to Keili Lefkovitz. Second photo by Michael Locke. 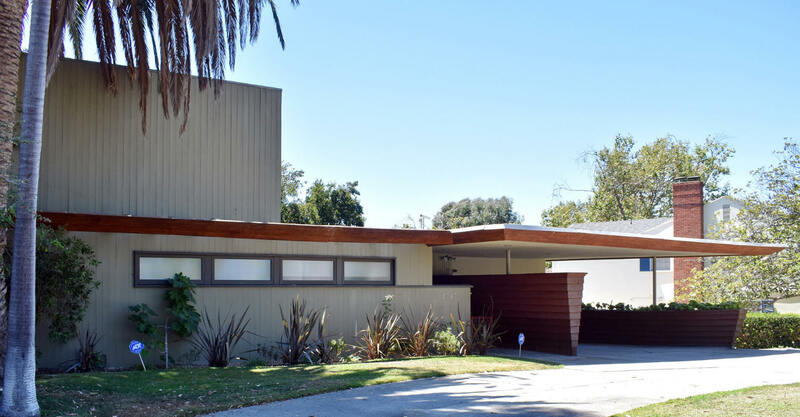 1950 - The Martin R. Zimmerman House, 400 North Carmelina Avenue, Beverly Hills CA. Commissioned 1949. Designed with Emiel Becsky. Landscape design by Garrrett Eckbo. Featured in Progressive Architecture. 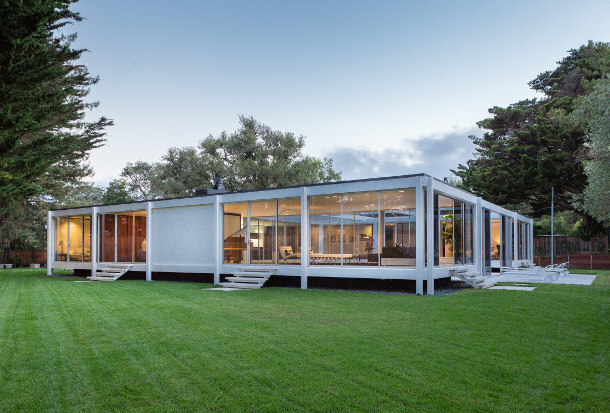 Sold in 1968 to Richard Kelton. Sold in 2004 to Hilda Rolfe. Sold to the Rolfe Family Trust. B/W photo by Julius Shulman; bottom photo by Michael Locke. 1950 - The Chute Apartments, 1011 North Hammond Street, Los Angeles CA. 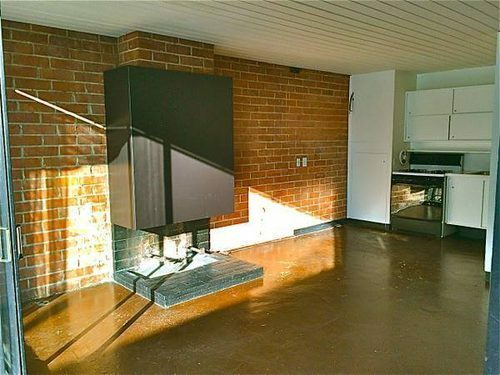 These 400sf, 11-unit apartments strongly resembled Corbusier. Designed with Emiel Becsky. Mackintosh and Mackintosh were the Consulting Engineers; Jay Dodson was the contractor. Destroyed. 1951 - Three houses for Israel American National Construction Corporation in Ramat Gan and Tel Aviv, Israel. Unbuilt. 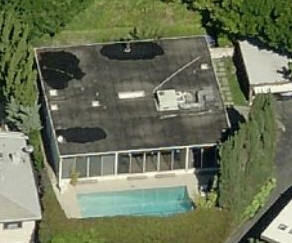 1951 - The Heller House, aka the Brown House, 902 North Roxbury Drive, Beverly Hills CA. Demolished around 1986 and a new house built, not designed by Ellwood. Above photo is the replacement. 1951 - The Brettauer Apartments, original address 3 and 4 Monteal Road, West Hollywood CA. 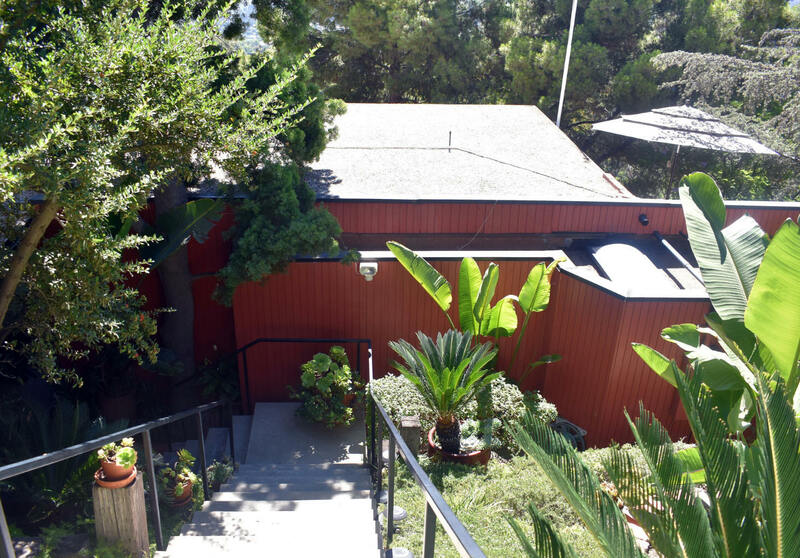 Two hillside bungalows, 1500 square feet, built for Château Marmont adjacent at 8221 Sunset Boulevard. Last four photos of #4 provided by Tom Lekometros. Actor John Belushi died of a drug overdose in #3. 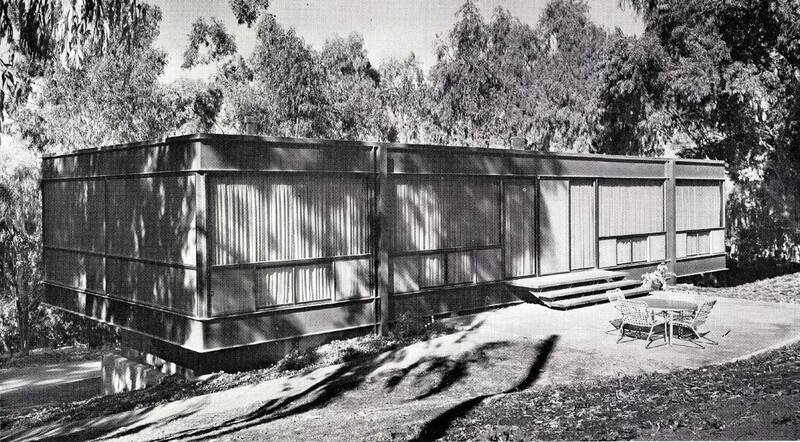 1951 - The Elton House, 635 Hightree Road, Pacific Palisades CA. Photo by Chimay Bleue. This is not an Ellwood house but it gets listed as one all the time. Architect William Baswell bought the lot from the Eltons who asked Ellwood for a design that was never put to paper. The house there was all Baswell's creation. 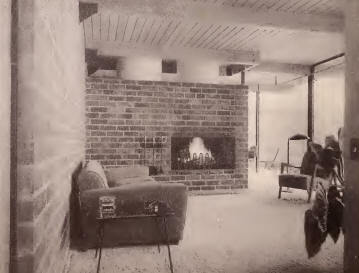 1952 - The Kelton House, Flintridge CA. Unbuilt. 1952 - The M. M. Zach House, aka the Henry House, aka the Henry-Zach House, 1036 North Tigertail Road, Los Angeles CA. Designed with Emiel Becsky. 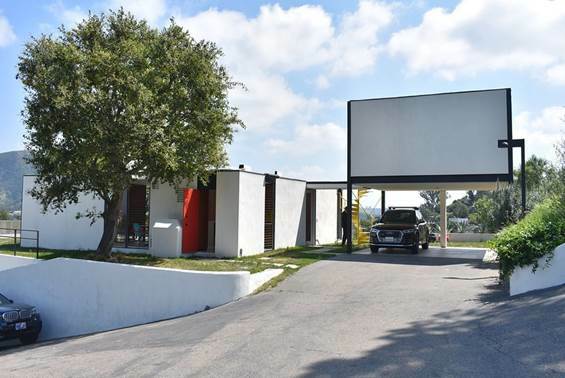 Architect Douglas Rucker did a 1968 addition. Sold to Scott Regburg. Deeded in 2004 to the Scott Regburg Trust. Deeded in 2010 to Melanie Regburg. Deeded in 2012 to the Miller-Regburg Trust. Bottom photo by Michael Locke. 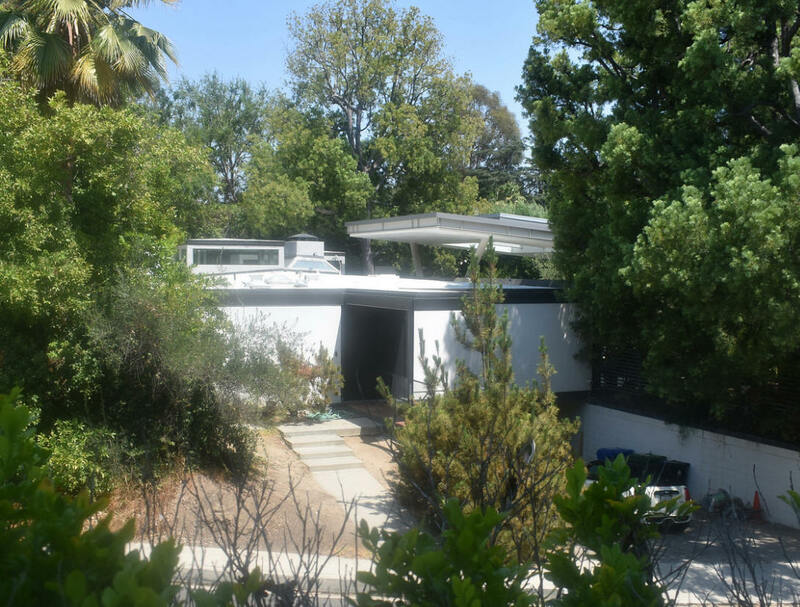 1952 - The Henry Salzman House, aka Case Study House 16, aka Case Study House for 1953, 1811 Bel Air Road, Los Angeles CA. Commissioned 1951. Sold in 2002 to the Murile A. Norton Trust. Bottom photo by Michael Locke. 1953 - The Courtyard Apartments, ake the Roy Maypole Apartments, 1570 La Baig Avenue, Los Angeles CA. 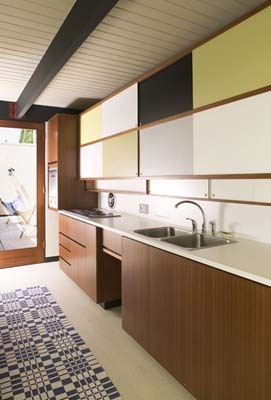 Taalman Koch Architecture rented a double unit and documented their renovation of the space for Dwell in 2010. Top photo by Michael Locke. 1953 - The Byron Lamar Johnson House, 1515 North Tigertail Road, Los Angeles CA. Put into the Johnson Trust. Sold in 2004 to Patricia Stone. Sold in 2010 to the Julie Simpson Erwin Revocable Trust. 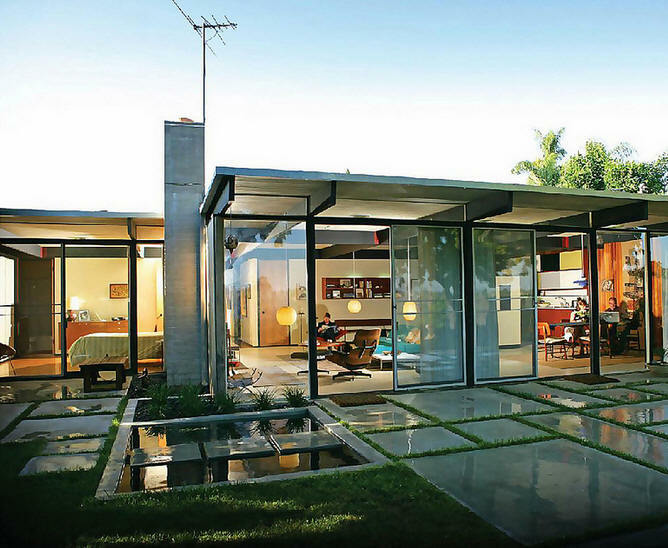 In March 2013 the house was considered for listing as an Historical Cultural Monument by the City of Los Angeles. 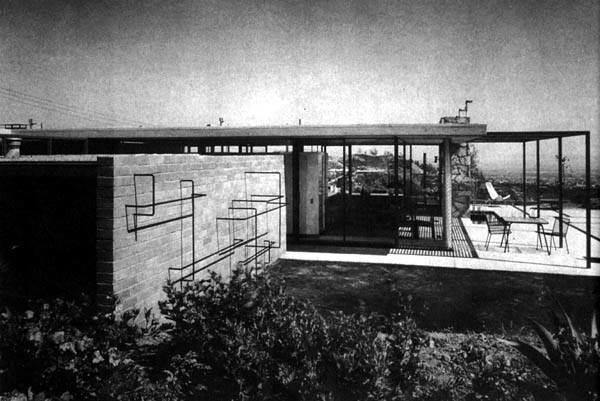 1953 - The Charles Coppege House, Little Rock Way, Malibu CA. Went over budget and was unbuilt. 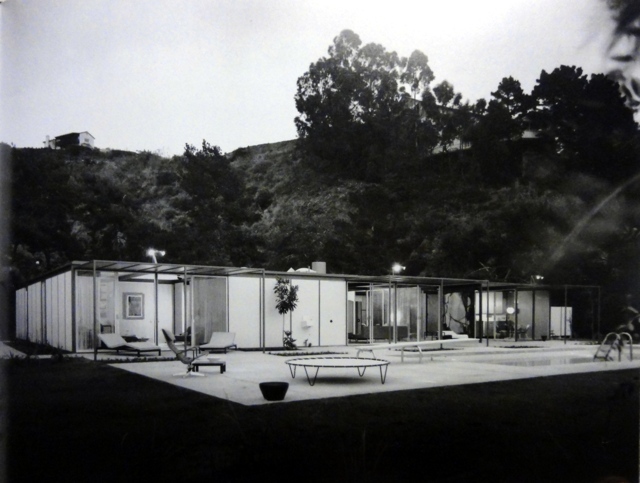 1953 - The Wiilliam Froug House, 300 Couth Canyon View Drive, Los Angeles CA. 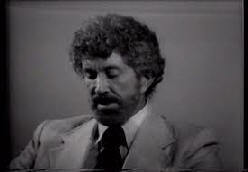 Froug, a TV producer, was trained as an architect during the Depression. Unbuilt. 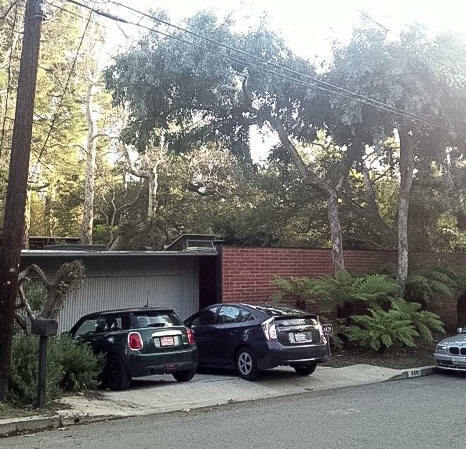 1954 - The Burton and Ellen Anderson House, 656 Hightree Road, Rustic Canyon area of Pacific Palisades CA. Commissioned 1953. Published in Arts & Architecture magazine. Sold to Joseph Stone. Sold in 1993 to Steven and Laura Baker. Bottom photo by Andrea Minton. 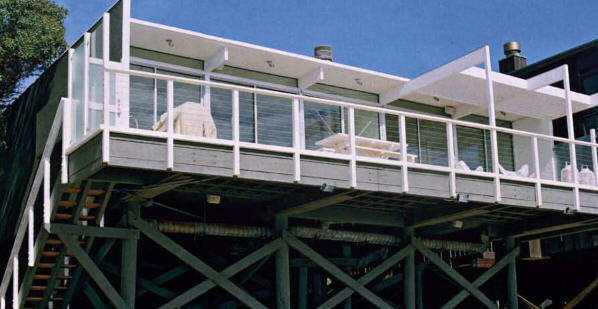 1954 - The Frank and Polly Pierson House #1, 24554 Malibu Road, Malibu CA. Sold to L. G. Weingarten Trustee. 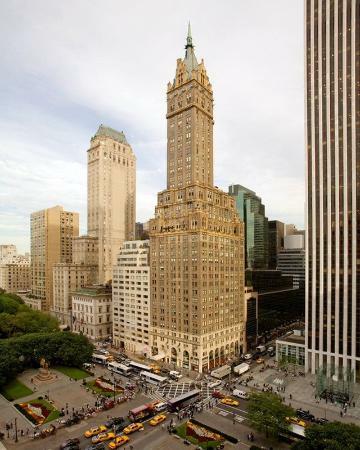 Sold in 1999 to Lynne G. Silbert Trustee. Renovated by Julie Hart around 2006. 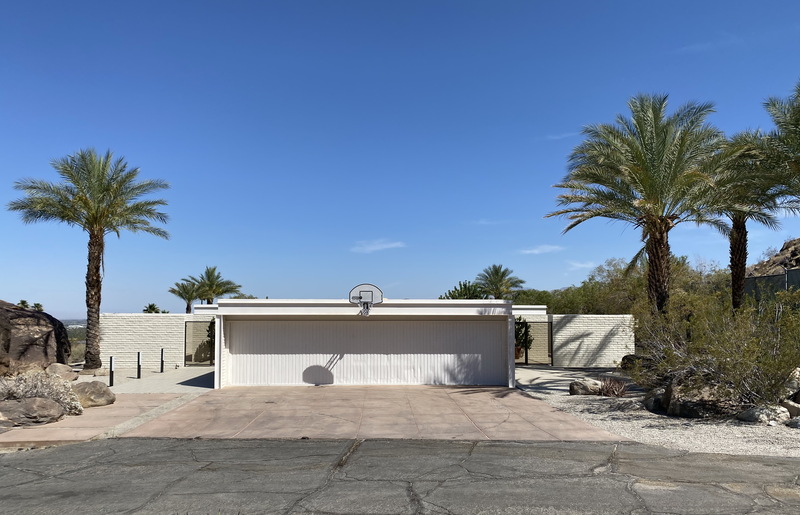 Sold in 1958 to John and Alice Cuchna, who expanded the family room and enclosed the patio and remodeled the kitchen, changed some colors, and built an outside concrete wall. 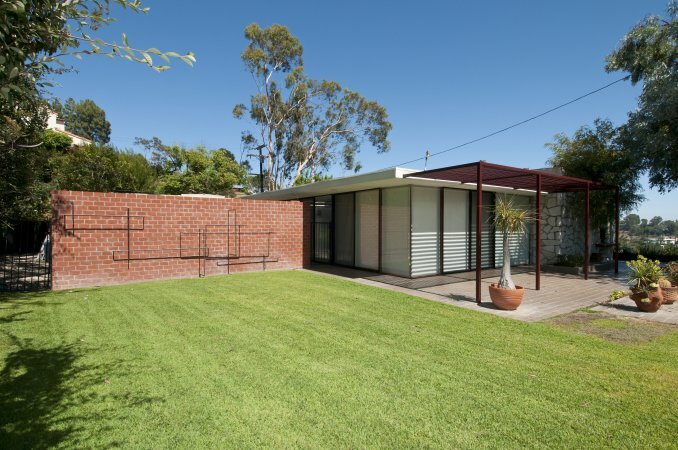 Sold in 1968 to Jack and Dorothy Smith. They remodelled the bathrooms in 1979. 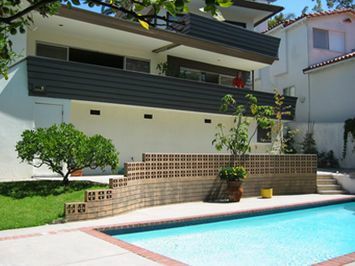 In November 2000, sold to Keith York (who started ModernSanDiego.com) who had it lovingly restored to the original vision, as well as adding the original landscaping. Gerry Bobertz Franklin brought him several original photos as well as the unrealized plan for the landscape. 2004 photos by John Durant. Sold in 2017 to Ryan Salahi. 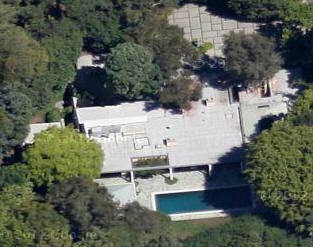 1956 - The Hoffman House, aka Case Study House #17B or 17-2, 9554 Hidden Valley Road, Beverly Hills CA. 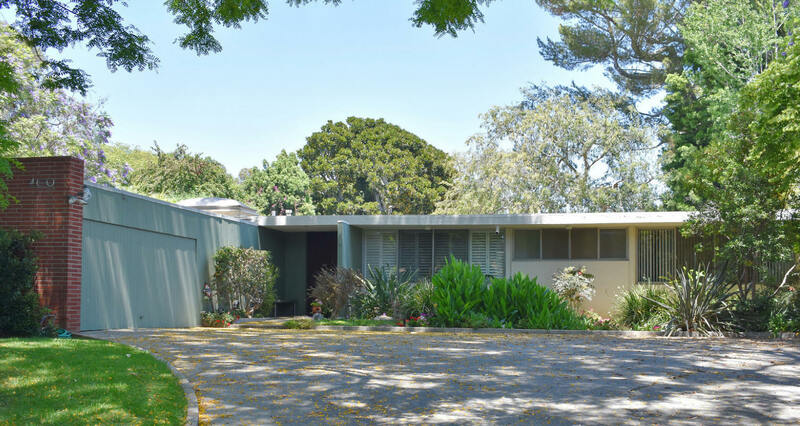 Sold in the 1960's to John E. Woolf and Robert K. Woolf who did an extensive but faithful remodel. Renovated beyond recognition in 2000. Sold to Keith E. Liberman since at least 2002. Expanded to 5200 square feet, 6 bedrooms, 5 baths. Gated community; no public access. 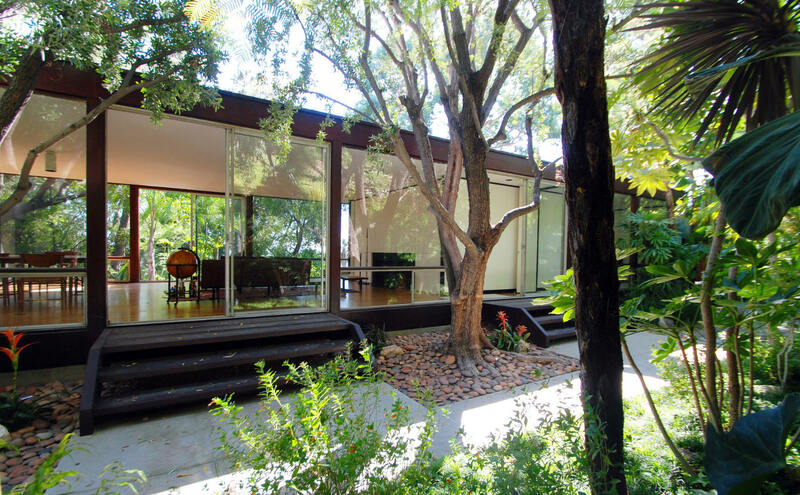 1956 - The Charles and Lillian Kuderna House, 2977 Passmore Drive, Los Angeles CA. Sold to Ernest Vandebovenkamp. Sold in 2008 to Washington Mutual Bank. For sale in 2019. Top photo by Michael Locke. 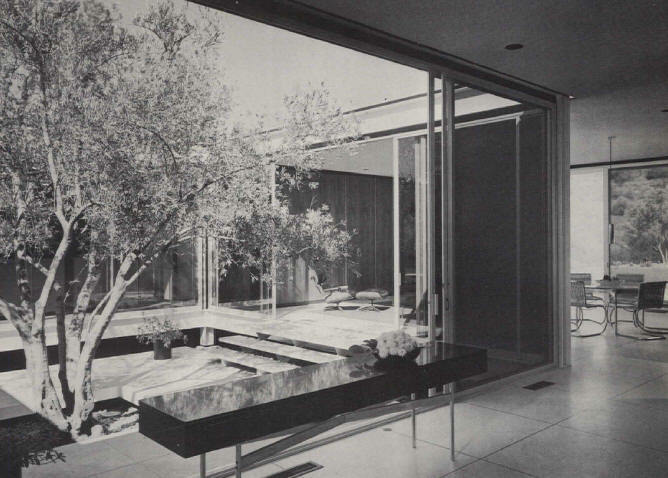 1956 - The Edinger House, Crestwood Hills, Brentwood CA. Although declared unbuilt according to Jackson book; it was built and destroyed by fire (see Perez-Mendez book). 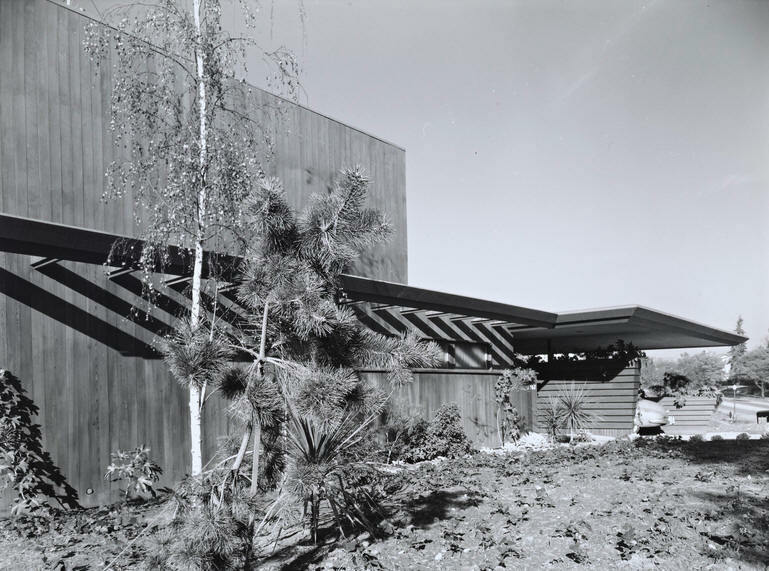 1956 - The Carlson House, 1527 North Tigertail Road, Los Angeles CA. Sold to the Paul J. Kohner Trust. Bottom photo by Michael Locke. 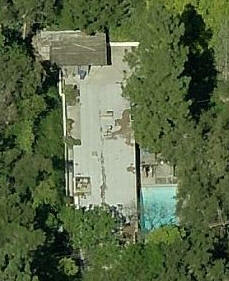 1956 - The Don and Calla Hunt House, aka House in Sherman Oaks, 3835 Kingswood Road, Sherman Oaks CA. Sold to Alan and Iris Mink. Sold to the Barbara and Stephen Kurtin Trust. 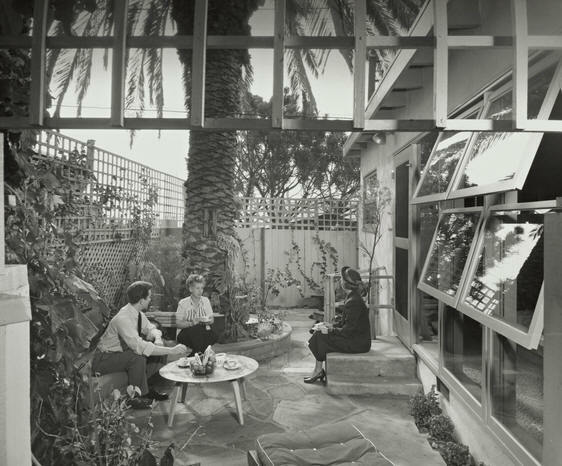 1956 - The Steinman House, 22476 Carbon Mesa, Santa Monica CA. Sold to the Steinman Family Trust. Sold in 2007 to Albert and Holly Baril. Renovated by Michael Boyd Design. Photo by Roger Davies. 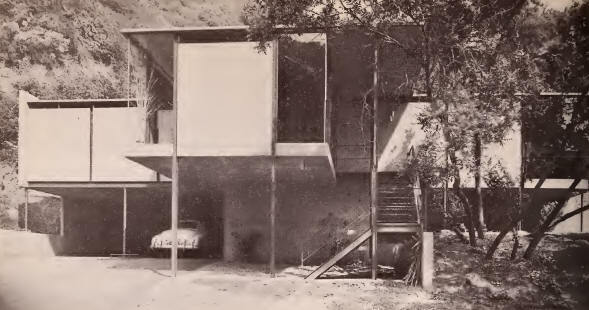 1957 - The Victor and Elizabeth Hunt House, 24514 Malibu Road, Malibu CA. 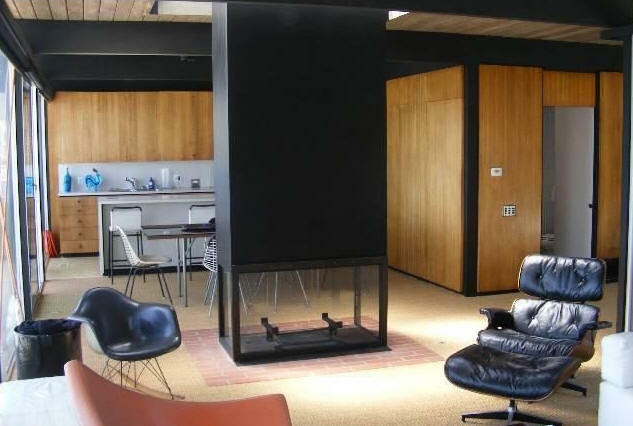 Principal design was by Jerrold Lomax, an associate in Ellwood's office. Transferred to Elizabeth Hunt Trust/Gyula Molnar, Trustee. 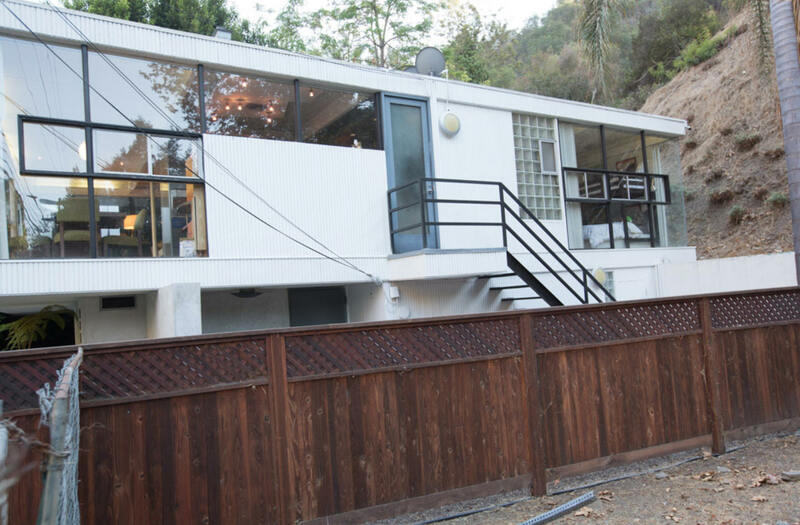 Sold in 2012 to Tania and Adeshir Tavangarian. Sold in 2017 to Diane Bald/Budman Trust. 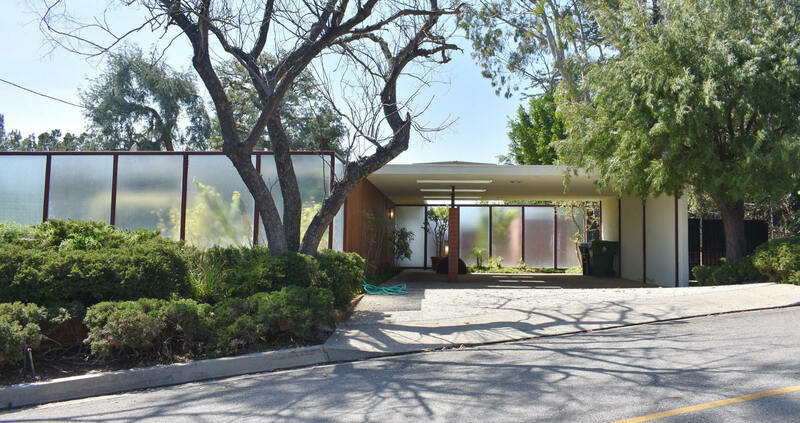 1957 - The Fields House, aka Case Study House #18, 1129 Miradero Road, Beverly Hills CA. Remodeled beyond recognition. Owned since at least 1996 by Mary Jo Greenberg Dickey (aka actress Linda Douglas) and her husband Joe Dickey. Unfortunately transformed into an Italianate, regency style, bottom two photos. Ellwood's influence has left the building. Sold in 2017. 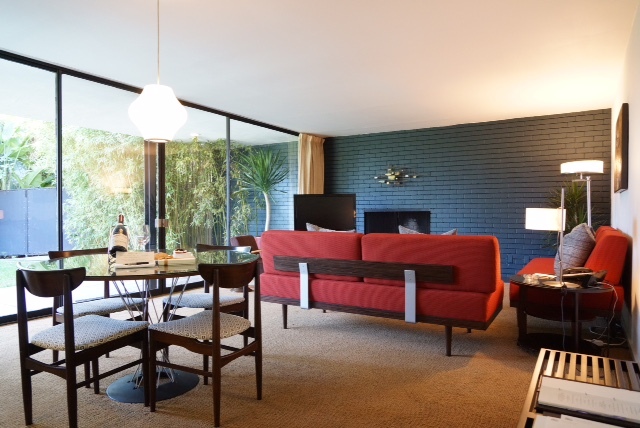 1957 - The Richard and Louise Baer House #1, Westwood CA. Unbuilt. 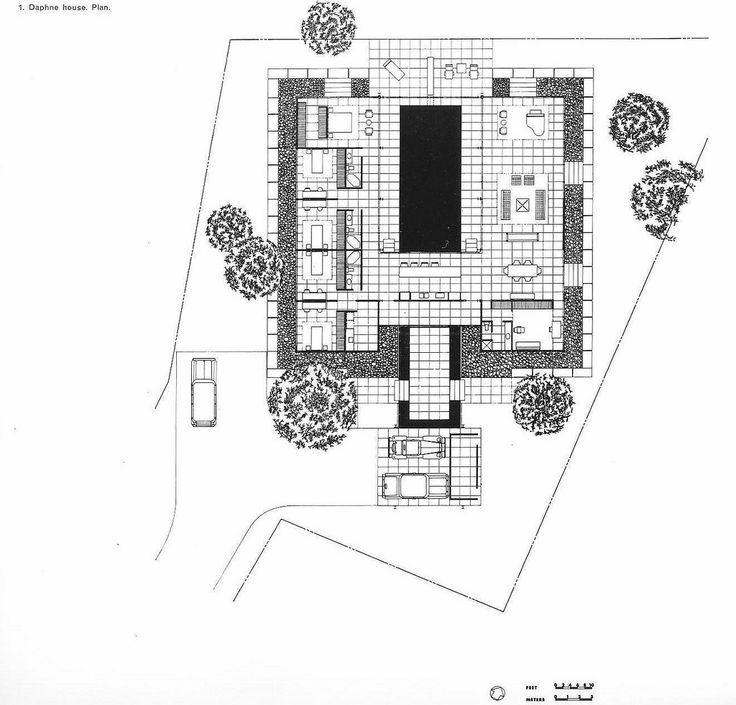 Ellwood also designed an addition, also unbuilt. 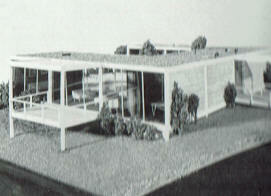 In 1962, Ellwood designed a second house for the Baer's, also unbuilt. 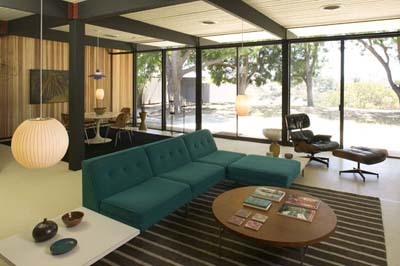 1957 - The Bennett House, Los Angeles CA. Unbuilt. 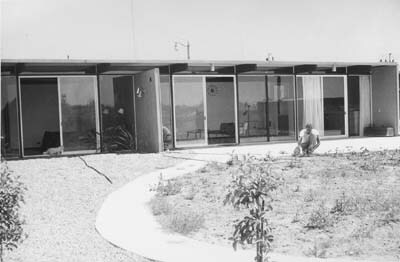 1958 - The J. Chris Smith House, 1095 North Kenter Avenue, Los Angeles CA. Sold to Sylvia Levey. Deeded to Sylvia Levey Trust. For sale in 2017. Renovated by architect James Tyler in 2018. For sale in 2018. Bottom two photos by Michael Locke. 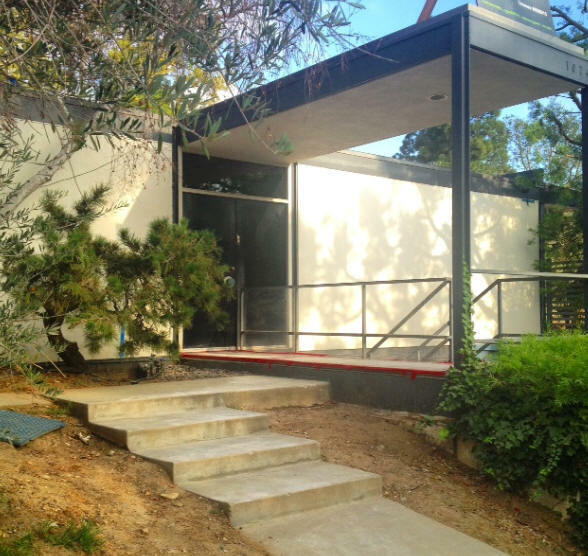 1958 - The Ellwood Studio Addition, Brentwood area of Los Angeles CA. Status unknown. 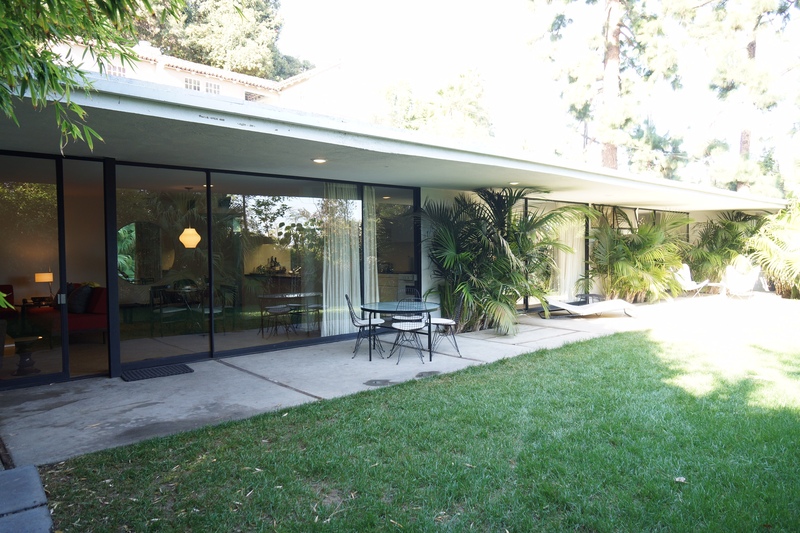 1958 - The George and Annette Korsen House, 1074 North Angelo Drive, Beverly Hills CA. Altered 1978. Sold in 1988 to Jonathan Beare. Sold in 1988 to Laurent Opman. Deeded to the Laurent Opman Trust. Renovation in 2016. Bottom two photos by Andrea Minton and Michael Locke. 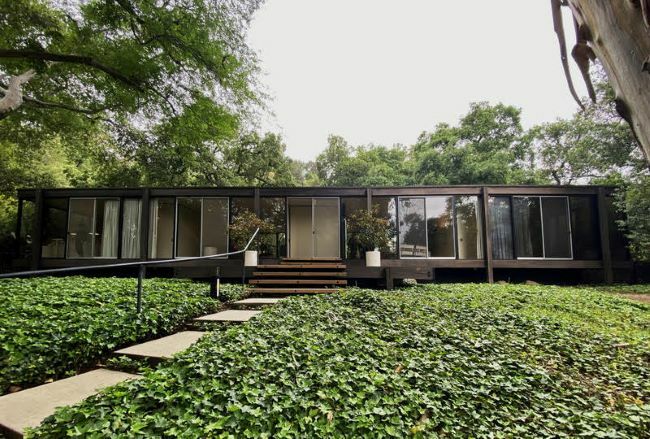 1959 - The Warren House. Unbuilt. 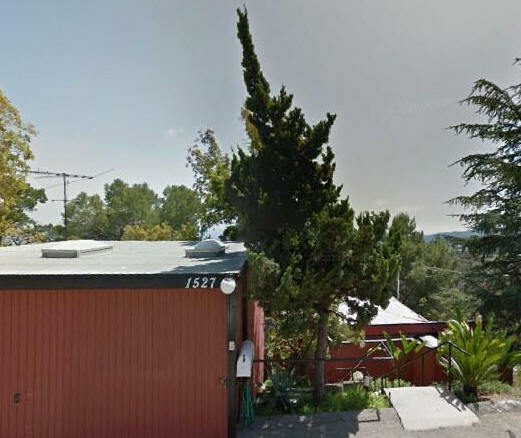 1959 - The Nicolas and Virginia Daphne House, 20 Madrone Place, Hillsborough CA. Commissioned 1958. 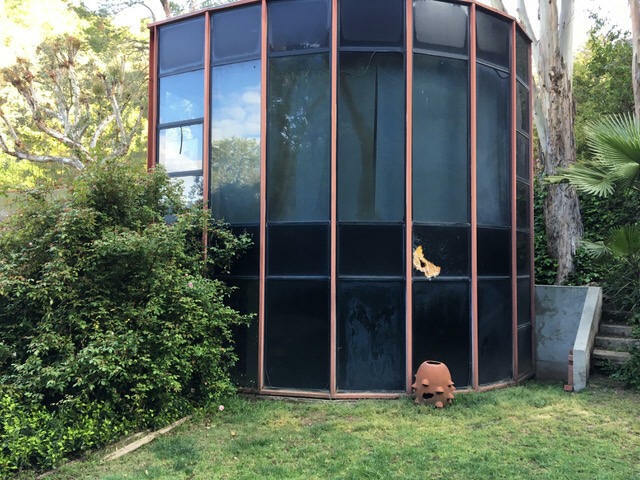 The owners had tried to hire Frank Lloyd Wright but that did not work out. Project architect, Jerrold Lomax. Sold for the first time in 2010 to the Nottoli Trust. Sold in 2016 to Mark Harley. 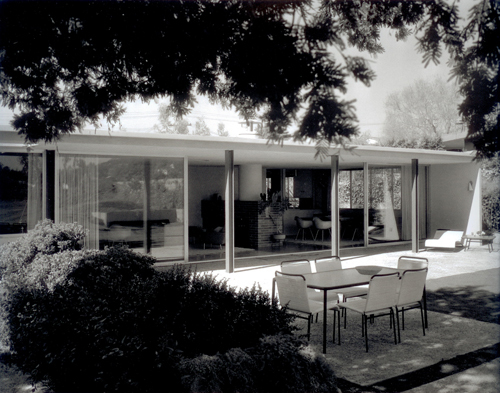 1960 - The Ziegler House, 8653 Metz Place, Los Angeles CA. Commissioned 1959. Designed with Jerrold Lomax. 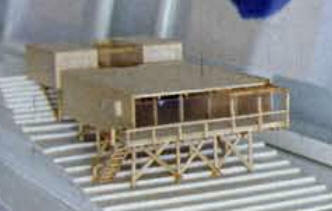 Bethlehem Steel commissioned models for an exhibit to showcase steel in residential architecture. The Perez-Mendez book states Ellwood did not supervise the construction as a result of a client dispute. Sold to the Jane R. Glassman Trust. 1960 - The Max Palevsky Apartment Renovation, Sherry-Netherland Building, 59th Street and 5th Avenue, 15th Floor, New York NY. Commissioned 1959. 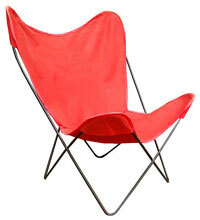 Designed with Jerrold Lomax, Peter Blake, and Julian Neski. 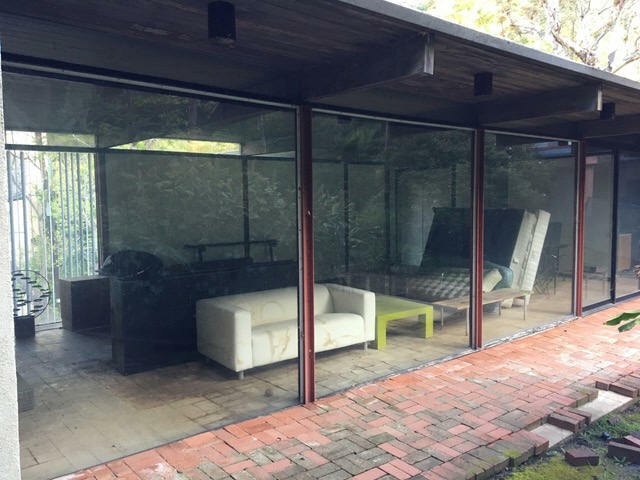 1960 - The Florence Knoll-Bassett House, East Hampton NY. Unbuilt. Project architect, Jerrold Lomax. Designed with Peter Blake and Julian Neski. 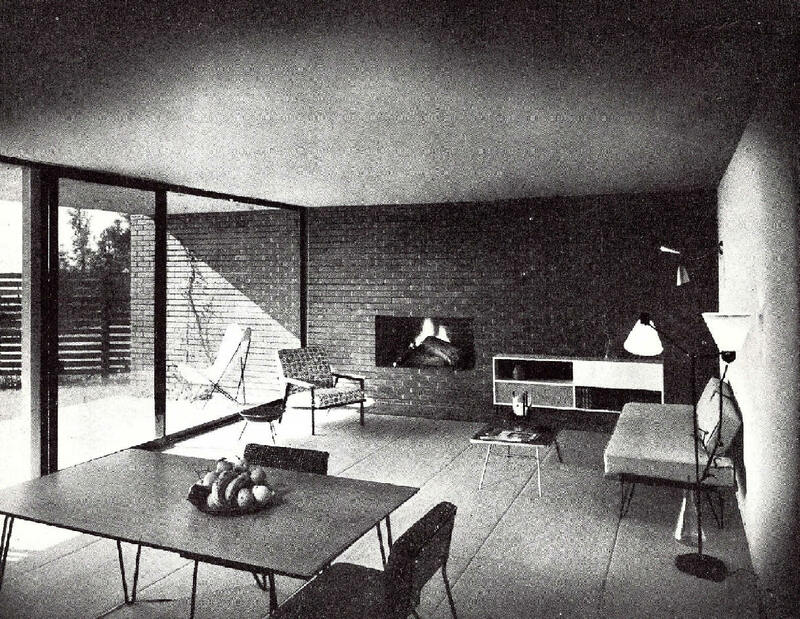 1961 - The Louis Marx House, Scarsdale NY. Unbuilt. Two pavilions frame a two-story enclosed atrium that acts as an entry space and contains the pool The living room, adjacent to the atrium, is also a two-story lofty space, with passageways above that communicate between the different parts of the house. 1962 - The Gerald and Arlene Rosen House, 910 Oakmont Drive, Los Angeles CA. Colleague Jerrold Lomax was upset at not getting primary credit for the house and left the firm a few weeks after the it was completed. 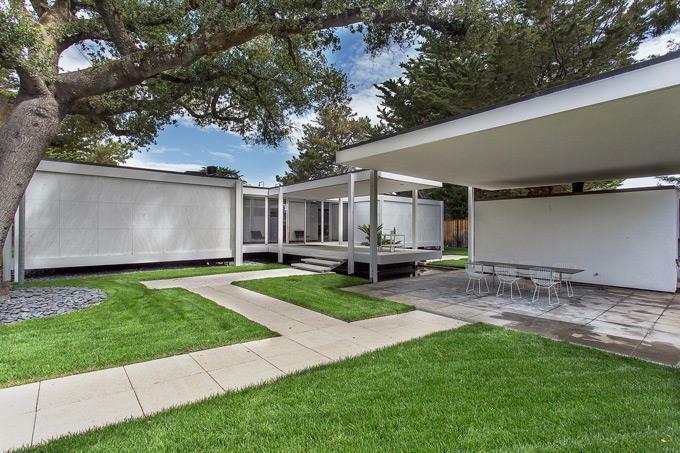 Featured as an Architectural Record House of 1964. Sold around 1970 to Iris and Alan Mink. Deeded to the Iris Mink Trust. 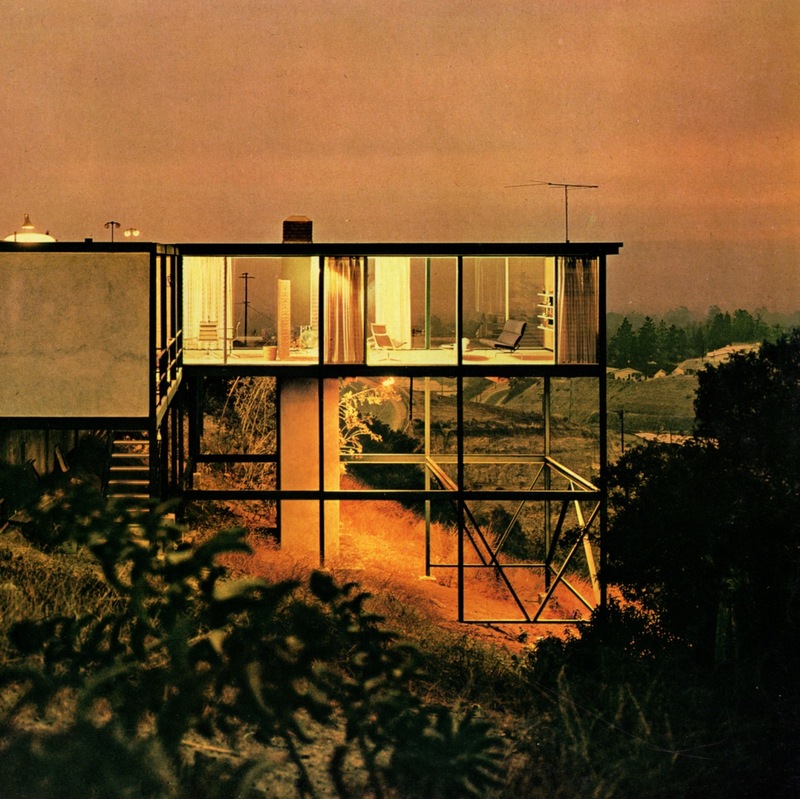 1962 - The Darrow-Walters House, Malibu CA. Unbuilt. 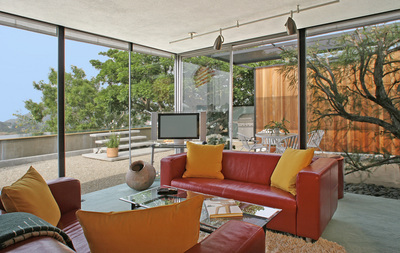 1963 - The Frank and Polly Pierson House #2, 32320 Pacific Coast Highway, Malibu CA. Commissioned 1962. Published in Arts and Architecture. 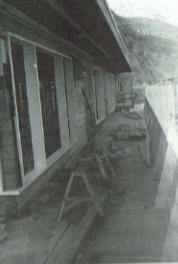 Ellwood added a pool and guest house (second photo) in 1970. The property (top photo) was sold in 1976 to new owners who made inadvisable modifications. Destroyed by fire in 1978 during a coastal firestorm. The fire cracked the concrete and it burst. The Cor-ten steel sagged and the owner's white Rolls Royce melted. Polly Pierson later admitted she was delighted by the destruction as she was deeply devastated by the new owners' modifications. 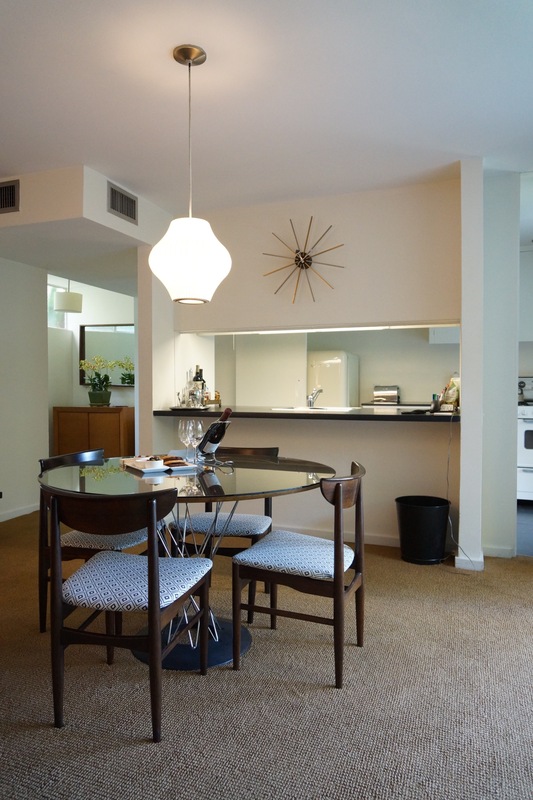 1962 - The Sullivan Apartments, three units, Los Angeles CA. Unbuilt. 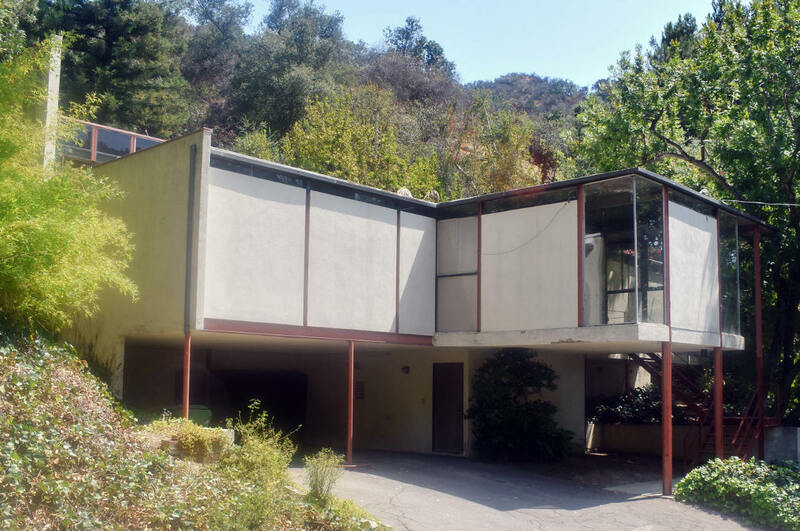 1963 - The Chamorro House, aka Steel Bridge House, Hollywood Hills, Los Angeles CA. Commissioned 1962. Unbuilt. 1964 - The Anderson Apartments aka Allen and Anderson Apartments, Santa Rosa, CA. Unbuilt. 1963 - The Unitspan Houses, aka Fertigtele-haus. Jerry Horn was the project architect. 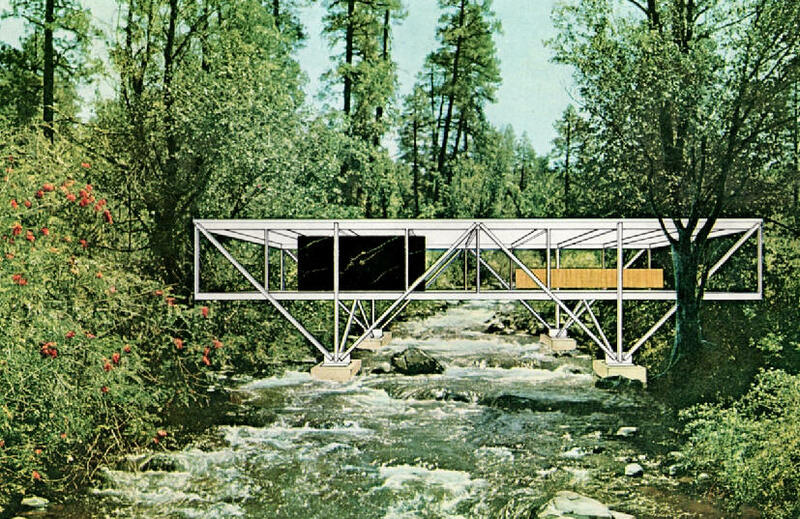 The month after Ellwood's return from Germany, Bauen + Wohnen published his Unitspan housing scheme, a project for lightweight, aluminum-framed houses assembled from a series of 1200 mm (4 foot) wide modular panels. Unbuilt. 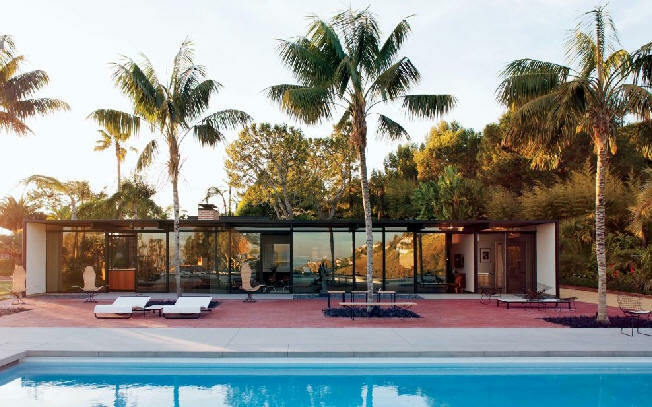 1964 - The Stanbury House, aka Courtyard House, Beverly Hills CA. Jerry Horn was the project architrect. Unbuilt. 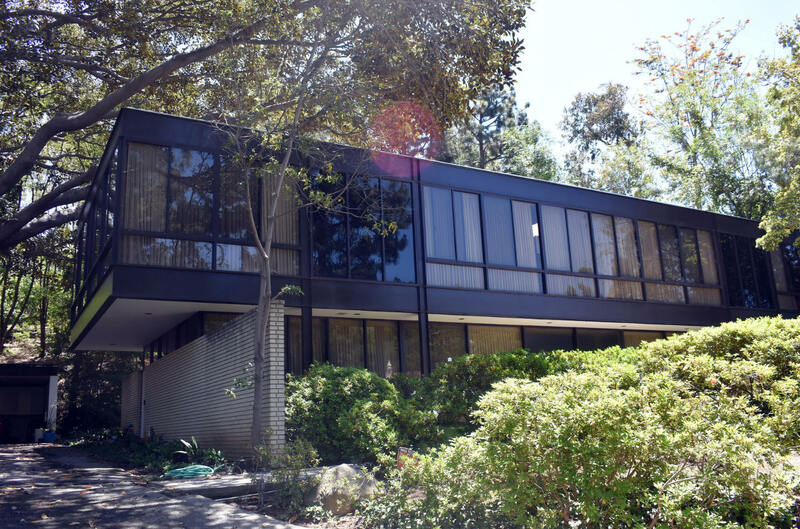 1965 - The Donald and Sally Kubly House, 215 La Vereda Road, Pasadena CA. Commissioned 1964. As of 2014, still in the Kubly Family Trust. 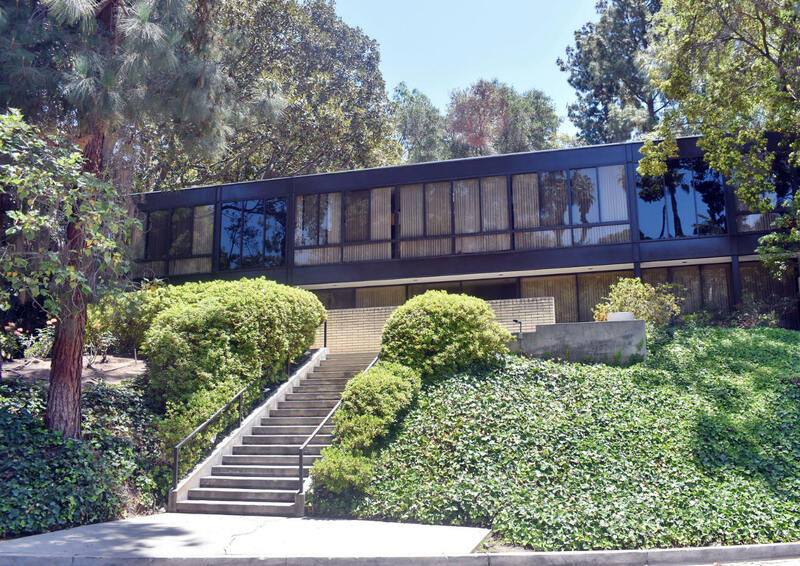 1965 - The Moore House, 4791 Bonvue Avenue, Los Angeles CA. Commissioned 1964. Sold in 2003 to Donald Bonar. 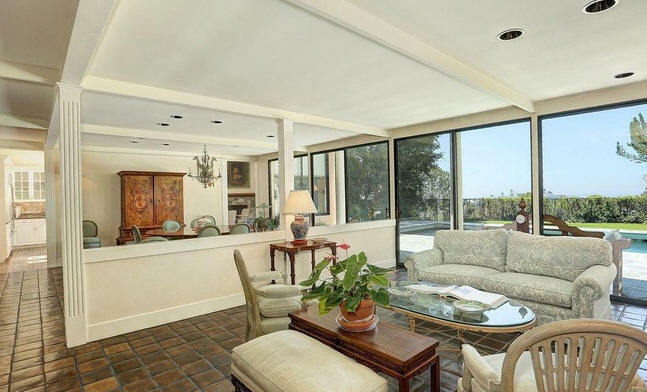 Sold in 2005 to Mickey Madden. Sold in 2012 to Michael Madden Living Trust. Sold in 2016 to Robert M. Johnson. Photos by Michael Locke. 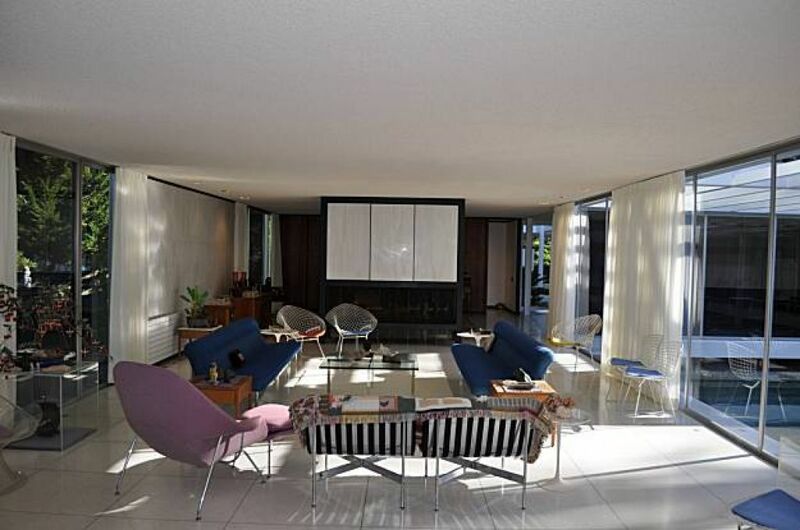 1968 - The Goldman House, 1122 San Ysidro Drive, Beverly Hills CA. Commissioned 1967. Project architect, James Tyler. 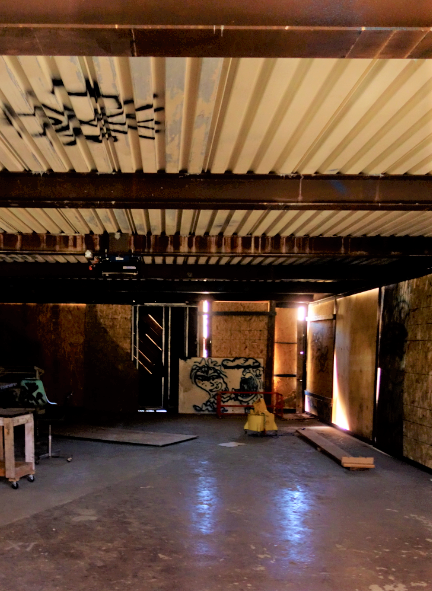 After arguments with the client, Ellwood did not supervise construction. 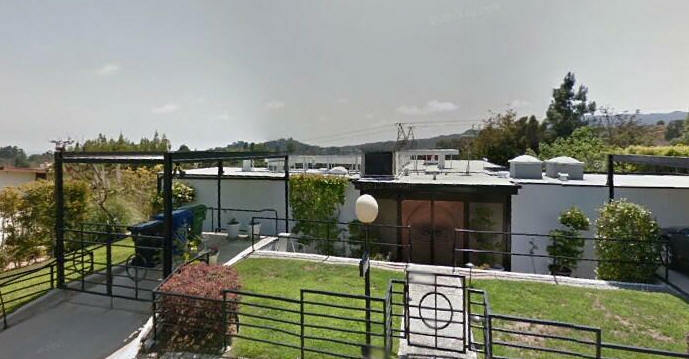 Jerrold Lomax completed the building. Deeded to the Mark Goldman Family Trust. Photos by Michael Locke. 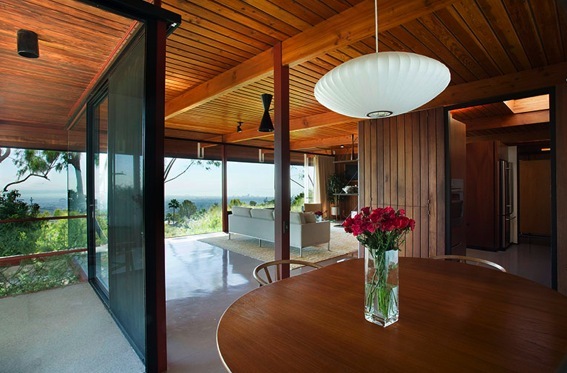 1968 - The Weekend House, Poly Canyon Road, San Luis Obispo CA. Commissioned 1964. 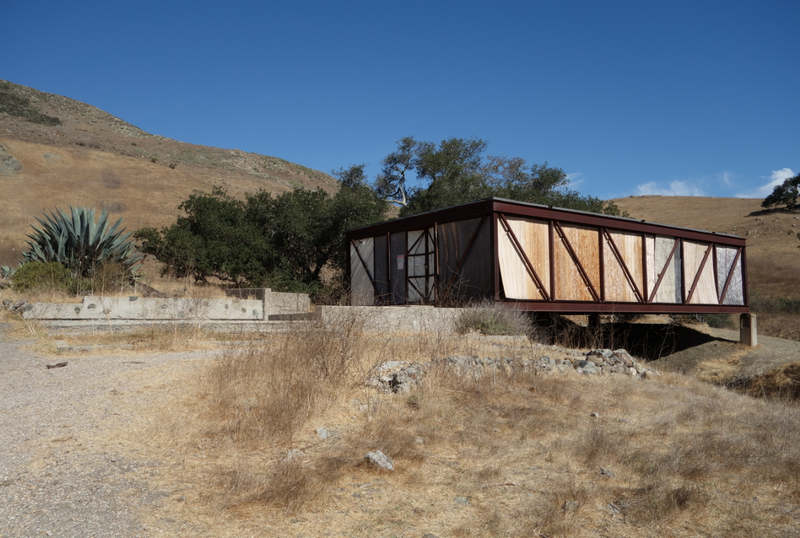 Built by students in a class taught by Ellwood for Head of Architecture George Hasslein, sponsored by Kaiser Steel with their new oxidizing steel, Cor-ten. 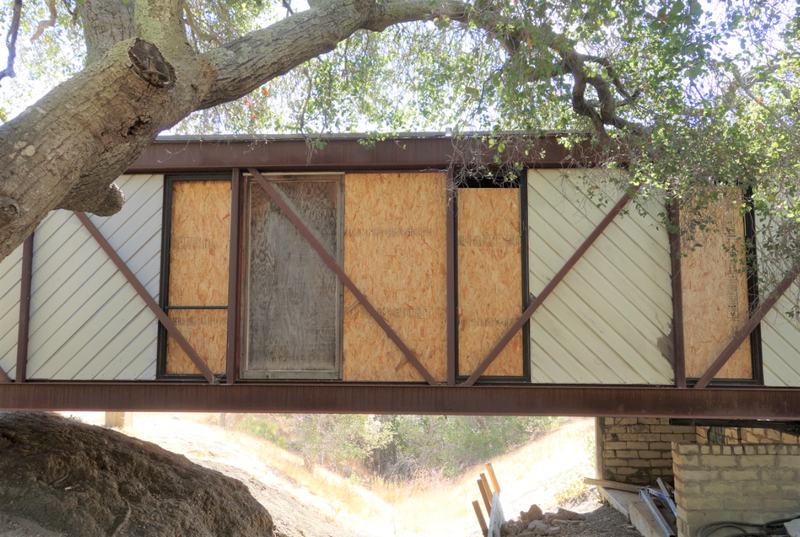 It was a roofed bridge that spanned between two walls of a canyon. At one time it was to be used as housing for guest faculty. Now part of an architectural graveyard shared with other student structures. Vacant for years and has deteriorated. Photos by Scott Somerndike. 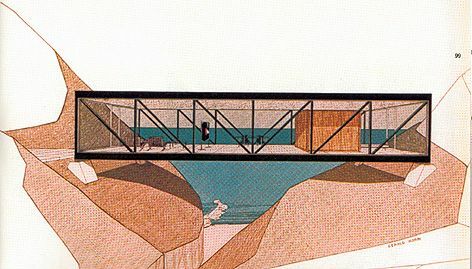 1968 - The Bridge House. Spans a creek. Unbuilt. 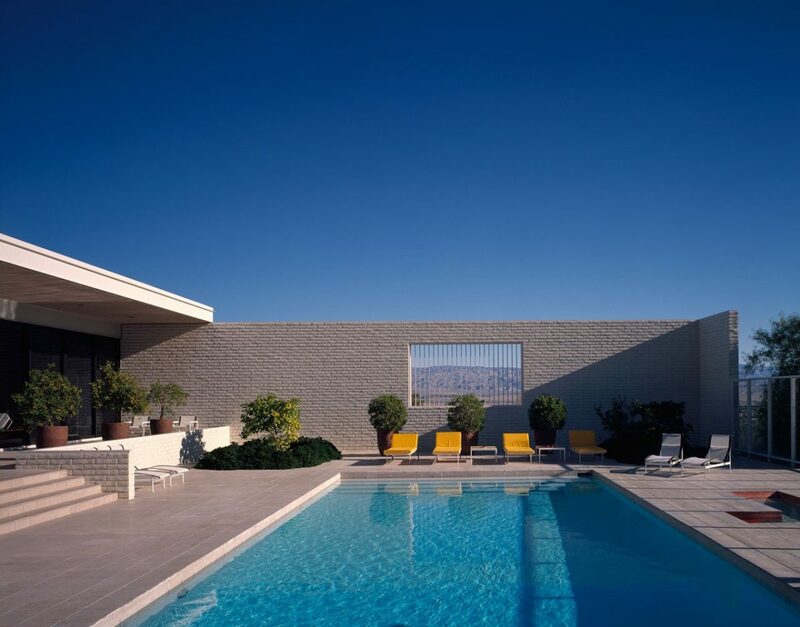 1969 - The Max Palevsky House, 1021 Cielo Drive, Palm Springs CA. Commissioned 1968. Still owned by the Palevsky family as of 2016. Last photo by Kurt Cyr. 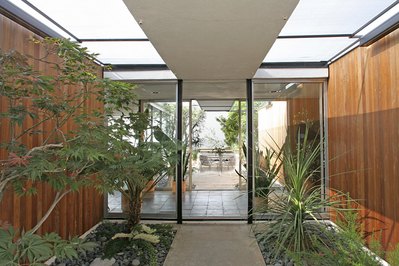 1970 - The Kawahara House, 6 Shadow Lane, Los Angeles CA. Commissioned 1969. They later added a new master suite, designed by Ellwood associate James Tyler, entered by a glass bridge and opening to the pool. Sold for the first time in 2011 to Lee Byrna. Color photo by Michael Locke. 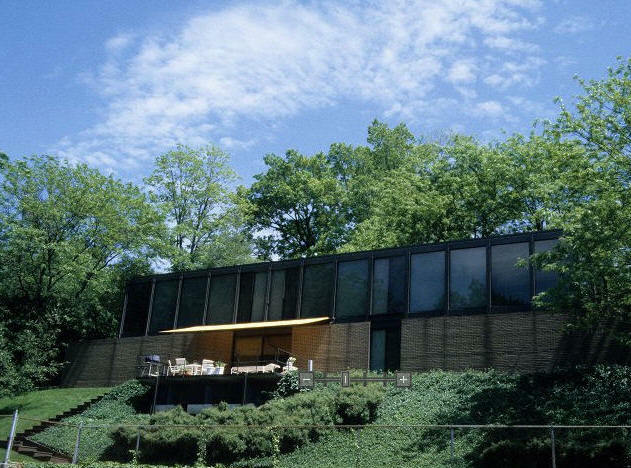 1972 - The Irving Harris House, 18 Grandin Lane, Cincinnati OH. Commissioned 1971. Project architect, James Tyler. 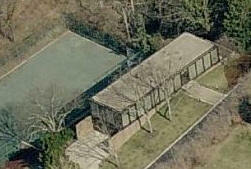 This was the last of the houses designed by Ellwood's office. Still owned by Harris as of 2010. 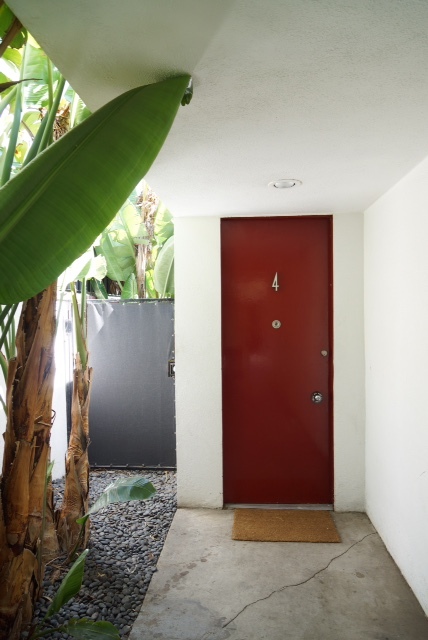 Sources include: Craig Ellwood: In the Spirit of the Time, by Alfonso Perez-Mendez; California Modern: The Architecture of Craig Ellwood, by Neil Jackson; Adam Ellwood; Erin Ellwood; Making LA Modern, by Michael Boyd.